C.W. Lemoine | Author » Why Krav Maga? fit while fending off the screaming fans and skinny jeans wearing guys? Today, we’ll explore that very topic! my fans I would return to my bubble and not write anymore Taylor Swift posts, so this blog is not about that. Instead, let’s talk about why I chose Krav Maga as the preferred fighting style in the SPECTRE Series. “Kung Fu. Krock Macrotch. Karate. Agent Sean Baxter talking to Michelle Decker in AVOID. NEGOTIATE. KILL. more detail about it and explain what it is and what it isn’t. Practicing a defense against a slashing knife attack during class. heard of Krav Maga in popular culture. have begun to pop up. Jewish quarter against fascist groups in Czechoslovakia in the late 1930s. out to form their own derivatives and methods. also the method in which I am both a Certified Instructor and Brown Belt. 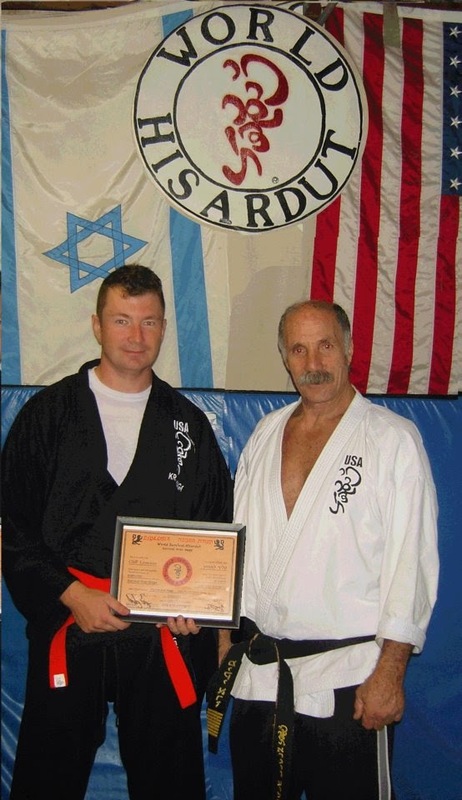 Israeli Air Force, Miki Erez was a student of Imi Lichtenfeld in Krav Maga. Karate under Shigeru, and Yasuhiko Oyama. of Survival Hisardut, called Survival Krav Maga. the skills, techniques and the ability needed to escape from almost any threat virtually unharmed (including firearms, knives, clubs). applications, especially as fighter pilots. always carried five magazines for my Beretta M9 as opposed to the issued three. a physical and mental challenge. thing I learned is that we shake with two hands, a sign of mutual respect. training with a senior fighter pilot that I liked and respected. and move forward. After all, Israel is a small country surrounded by enemies. Krav Maga: attack your attacker. effective system that had me hooked from day one. defense arsenal. I wanted to embrace it. I began adding days, going from once a week to three days per week. And then one day after class, Sensei Erez pulled me aside. on my own. It was humbling and an awesome opportunity. I accepted. preparation were perhaps more important than the physical side of things. considered him both a friend and mentor that I was sad to leave. having never actually even met an Israeli. local law enforcement, which is challenging and rewarding all on its own. Krav Maga is not a sport. In UFC and MMA, it usually fails. The reason for that is that in Krav Maga, there is only one rule – survival. discipline as owning a taser, baton, OC spray or even a handgun. concept. If one can avoid a fight, then that is always the preferred tactic. having to engage the threat is by far the most effective method. If that doesn’t work, negotiation is the second best option. then it allows the defender to fight another day. the air and gives a bit more insight into the Cal “Spectre” Martin character. And if you have to ask, yes, I can kill you with a thought. and checking out his revolutionary new wheelchair training system. Thank you for reading. Stay tuned for the next blog post.